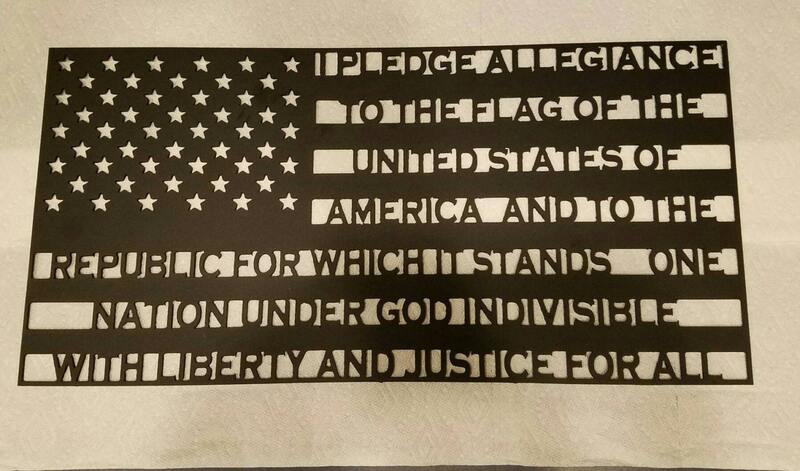 This Patriotic, American Flag has the Pledge of Allegiance written into the flag itself. 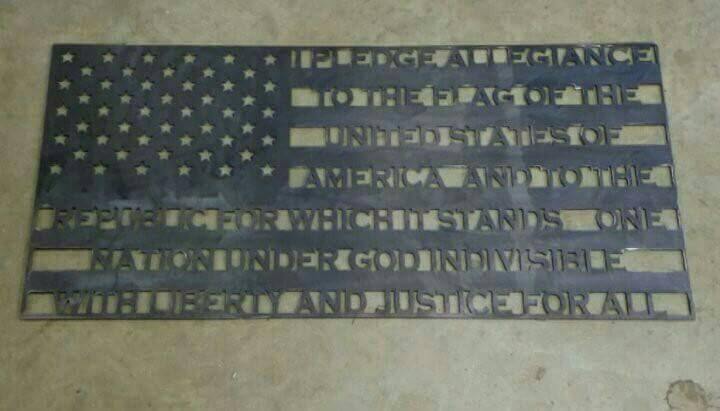 The flag measure 12" tall by 24.5"wide and is made of 14 gauge steel. 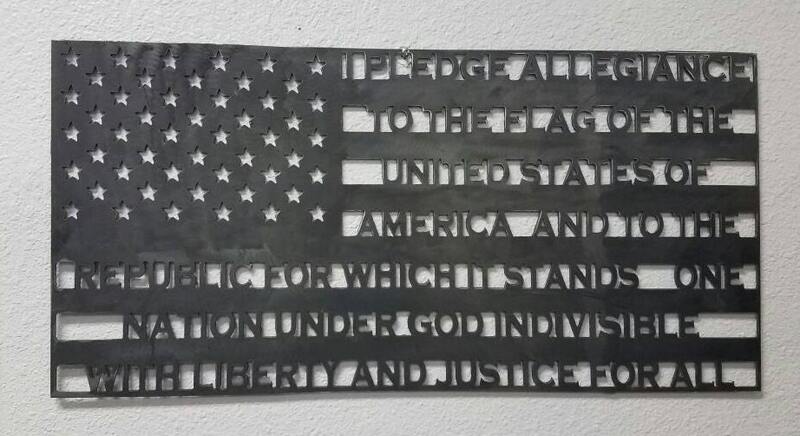 This flag is sturdy and made to last. Please note: the nature of steel is that it will rust/patina over time. 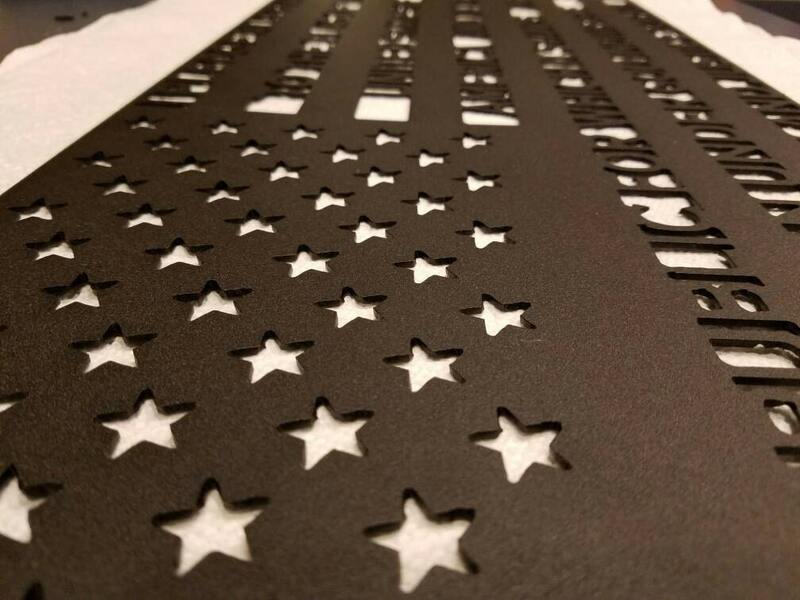 If you want to prevent a weathered look, be sure to oil, powdercoat, or paint your flag. 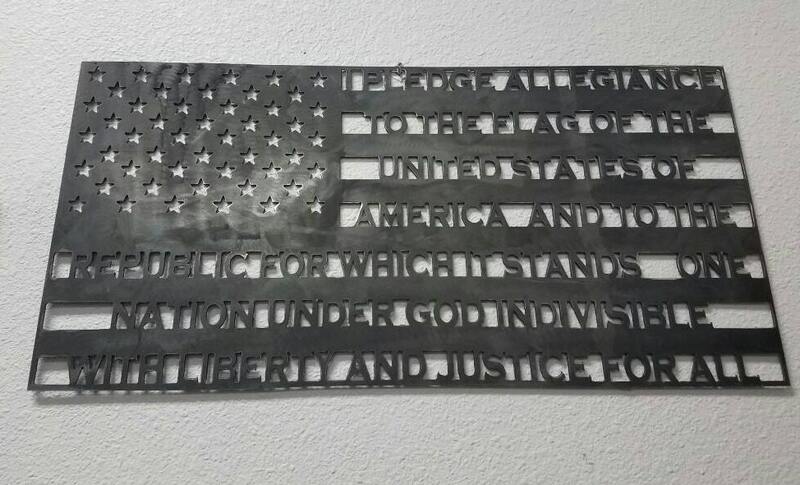 The first few pictures are of the flag in raw steel. Last 2 shots show a black sand tex powdercoat finish (+30$). We can finish in many different colors and techniques...so if you have an idea just ask. My wife got me this awesome flag for Christmas not only is the workmanship unbelievable but the overall quality of the product is amazing. She was able to get this done in about one week and the cost was more than reasonable. This will be an item that I will treasure for a long time.